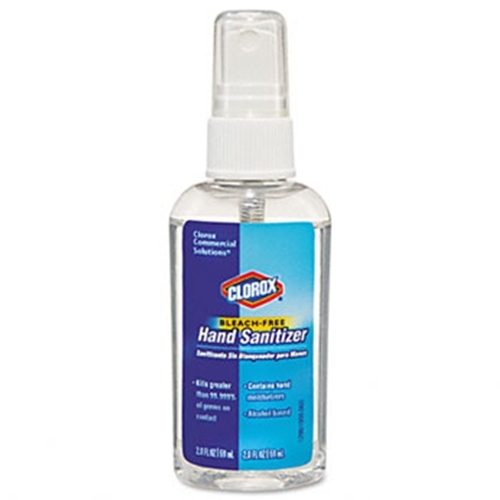 Clorox Hand Sanitizer from HealthyKin.com is formulated with 71% ethyl alcohol and provides strong efficacy, killing greater than 99.999% of germs in as little as 15 seconds. 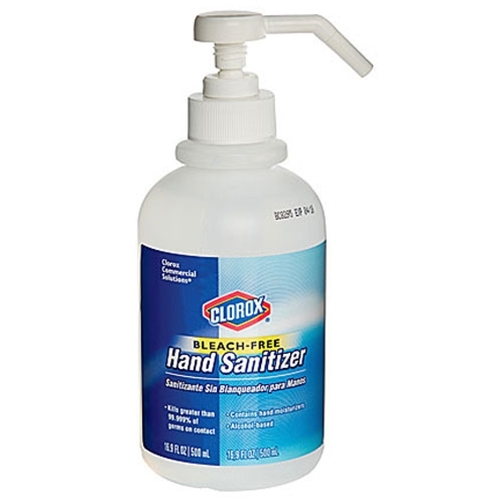 Clorox Hand Sanitizer contains premium emollients, such as glycerin and glycerol monolaurate, to keep hands moist and soft instead of leaving them sticky or greasy like gels and foams can. Our spray form provides excellent hand coverage thanks to the tiny droplets of the sanitizing formula sprayed onto the palm, fingernails, cuticles, between digits and skin furrows — the trouble spots of the hands where microorganisms can hide. Addicted to this stuff! So easy to apply and no weird smell. The only one my kids like. Awesome hand sanitizer. Doesn't leave hands feeling slimy or sticky like gel sanitizers. The spray delivery allows for complete coverage with minimal product use. Even though it is alcohol based it doesn't dry hands out. It is also one of the few hand sanitizes that has been proven to kill Norovirus. I always carry hand santizer with me. In the past, I have purchased the gels. I love this spray much better , and I am a fan of Clorox so this one is a win win. Love this stuff. Very absorbing and soft. Fast shipping! Great stuff! No strong scent or residue. Spray on and your hands feel good and clean. Love this spray!! It's stays in my purse. I work in a hospital so I know how important it is to have clean hands. And it doesn't leave your hands sticky or smelling like alcohol. I'm never without it. Using it for plane and shipboard sanitizing!